"Based on true acts of courage." Time to play a game - count how many times you can hear "heroes" in this trailer. Is it 20 or 30? It gets to about 4-per-second at one point. Universal has debuted the trailer for Peter Berg's Lone Survivor, a Navy SEAL action movie about the failed June 28th, 2005 mission where four members of SEAL Team 10 were tasked to capture or kill a notorious Taliban leader, but only one survived (hence the title, even though it's kind of a spoiler to the trailer). It stars Mark Wahlberg, Taylor Kitsch, Emile Hirsch and Ben Foster as the four soldiers, plus Eric Bana in there, too. Have fun with this one. 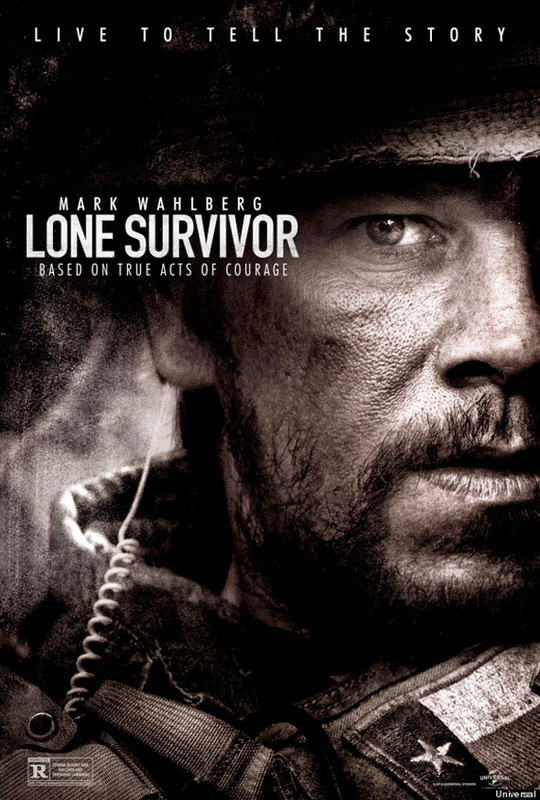 Universal will first release Peter Berg's Lone Survivor in limited theaters starting December 27th, before going wide January 10th, 2014 early next year. For more visit their Facebook. Anyone interested in this? I didn't hear heroes mentioned once. Is there something I'm missing? peter Berg usual action movie, hope strong cast made up for it. Time to play a game - count how many times they mention "heroes" in this trailer. Is it 20 or 30? It gets to about 4-per-second at one point. what? Not just you Jon Odishaw. All I heard was the song Heroes, but did not hear them say hero once... Looks good to me. Like Bergs directing, the movies might not be great, but I'll check it out. This actually looks like It could be Bergs Best so far. It was a good book, I hope the movie does it justice. Looks good in a sort of Vietnam movie way. I like the cast, it's too bad the subject matter is so lame. Only heard 5 heroes, and they were all in the song, in the aforementioned "4-second" sequence. Anyhoo, looks like it'll be trying too hard. Seeing Bana just made me want to watch Black Hawk Down again. So, because its "based" on a true story, I'm supposed to worship it? Sorry, here you go: 'Murica!! Dipshit. I think Hero by Enrique Iglesias might have been a better choice. Awesome, didn't know they were making a sequel to Tears of the Sun! I don't recall hearing "hero" once. Epic fail Alex. I highly recommend reading the book. Amazing story. Regardless of your political views, a truly unbelievable story of selflessness and unspeakable courage. That song at the end was horrible.